Olive Tree Places: 100 Important Biblical Locations, offers details about towns, cities, and regions where some of the most important events in the Bible took place. 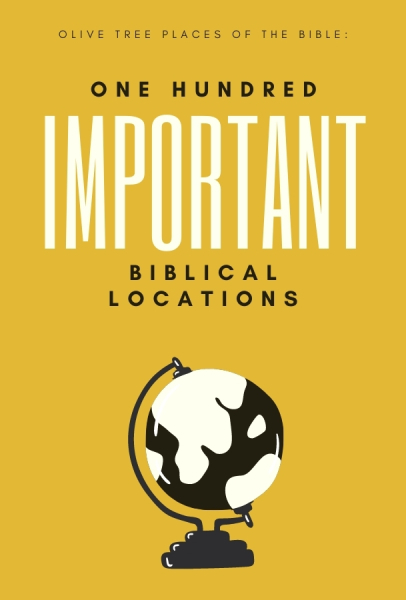 From material on geographic locations to how each place is tied to the fabric of biblical history, this compilation provides information that will enrich your study of the Bible and enhance your understanding of the varied landscape in which God’s story unfolds. In addition to browsing this work, readers will also be able to find entries through the Bible Study app's dictionary look up feature, allowing them to access this information easily while studying the Bible or reading any of the other titles available on our platform.